So you've just blown this month's pay packet on your dream case and a load of shiny hardware. 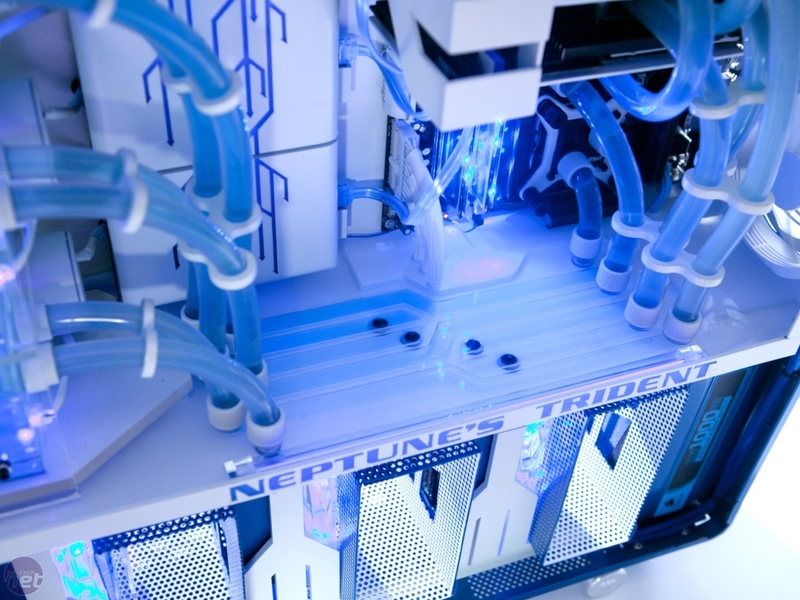 You might even have performed a few mods on your case or installed water cooling, or maybe even made your case from scratch. In any event, you probably want to show off your brand new machine to your buddies on your favourite forum. PC enthusiast forums such as those here on bit-tech are filled with people showing off their pimped and modded PCs. Most of us have digital cameras these days and the marvels of technology now allow us to take a picture and upload it for all to see within minutes. However, all too often these photos simply don't do a project the justice it deserves. This simple guide will help to banish those dark, grainy, out-of-focus shots and make your photos the envy of the forum. Taking photos in low light or close up can often lead to poor results. 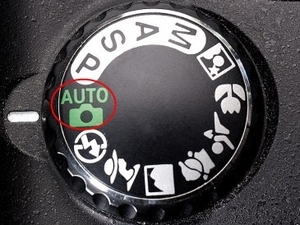 Even expensive Digital SLR cameras have an auto mode but it won't always give you the result you're looking for. In some cases, the end product can be quite disappointing. If you haven't ventured away from the auto mode on your camera, it's well worth delving a little deeper. A few seconds of work here - if you know what you're doing - can make all the difference. 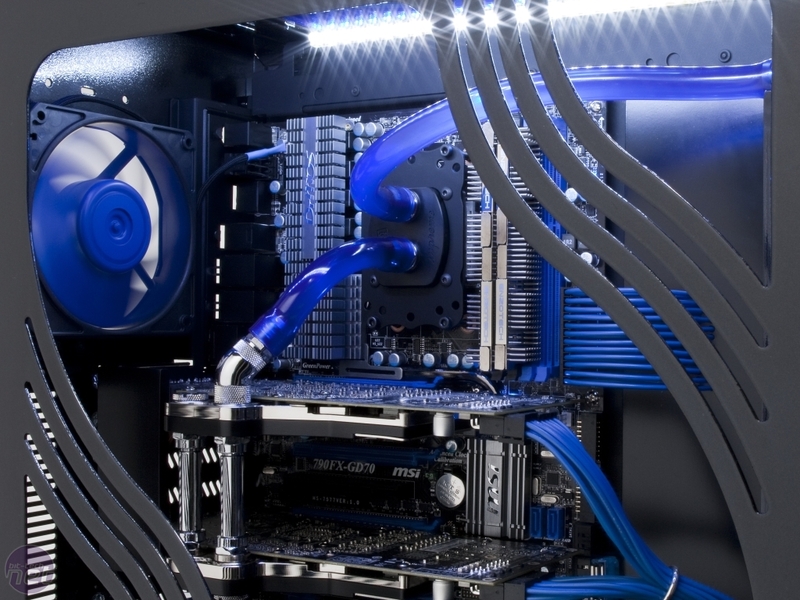 This guide suggests some basic tips and tricks most of which cost nothing, enabling you to take better photos of your PC. Auto mode is fine for well-lit shots of landscapes and family, but it isn't advisable to rely on it too much when photographing a PC. Auto mode is usually configured just for hand-held photography in good light, so it often falls short when used in other situations and it often over-compensates with some settings, especially in your average modder's dimly lit garage or study. Many modern cameras, from compact point and shoots to Digital SLRs, have presets that allow for much greater control over your camera and can result in far better photos. These presets usually let you control one setting while the camera takes care of others, which can make the learning curve much less steep. Full manual control places all of these settings in your hands, which can be quite daunting at first. We're going to explain what they are and more importantly, how they affect your photos. You'll then be much better equipped to fine tune your camera to get the best out of every situation. 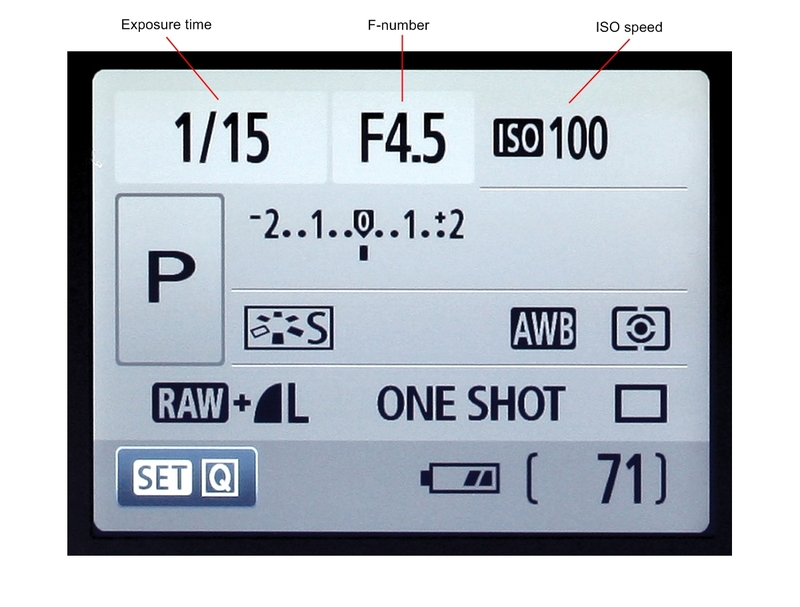 Here' a typical information screen from an entry level dSLR. 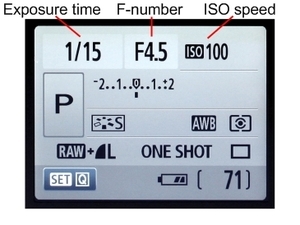 It clearly shows the three main settings you need to be aware of when taking a picture. Exposure time - Shutter speed in seconds or fraction of a second. You should use no more than 1/40th of a second (more being 1/30th or 1/20th of a second) when not using a tripod, else your photos may be blurred. F-number - The higher the F-number, the smaller the aperture - the size of the adjustable opening behind the lens which controls how much light will reach the image sensor. High F-numbers also result in greater depth of field (i.e. how much of the image is in focus). ISO speed - Somewhat anachronistic on digital cameras, as ISO rating originally referred to the film's light sensitivity. It now refers to how sensitive the sensor is to light, with higher ISO speeds allowing for shorter exposures and lower ISO speeds giving better image quality. LCD displays on the rear of digital cameras usually show many of the current settings. However, with some cameras you may need to delve into the menus to find some of them. If in doubt, look in the instruction manual.